The curtain came down on the 2018 schoolboy season on a bitterly cold and wet winters morning in Cape Town. 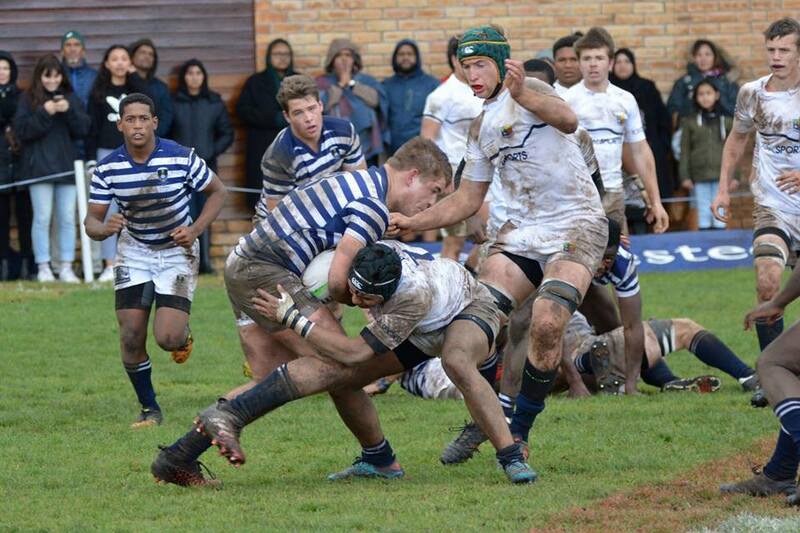 The South African College High School (SACS) hosting arch-rivals Wynberg Boy’s High. The weather did not deter the boys and the fans as Wynberg put on a composed and clinical display to beat SACS 30-17. Playing with a strong north-westerly wind behind them in the first half Wynberg had the first chance to get points on the board but centre Devon Pretorius missed a relatively easy shot at goal. SACS struck back with a brilliant individual try from flyhalf Dean Reich, who chipped the ball over the Wynberg defence, regathered and scored. Wing Kabelo Mokoena converted. On eleven minutes Wynberg opened their account with a penalty. Wynberg continued to press and where awarded a penalty under the SACS posts. They chose a scrum but were unable to convert. Resolute SACS defence holding the visitors at bay for over ten minutes. 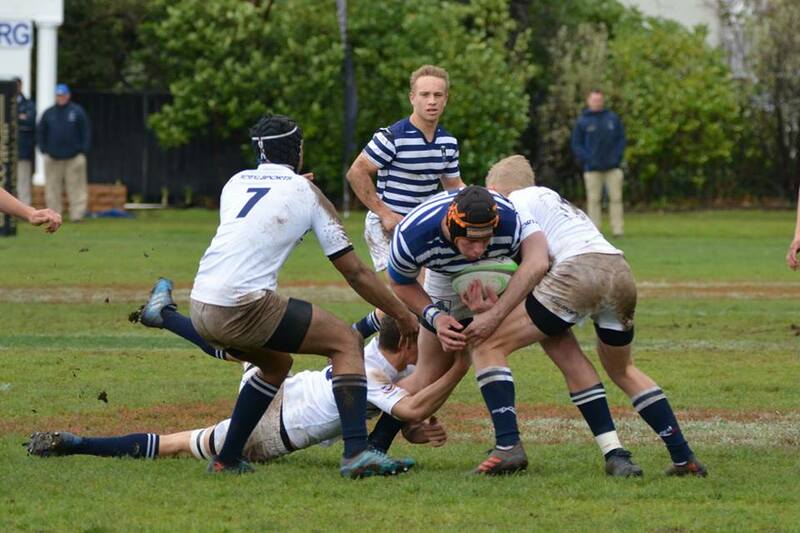 SACS claimed a moral victory when Wynberg eventually chose to take the points on thirty-one minutes. SACS looked to have done enough to go into half-time one point ahead and with the wind at their backs in the second half. Having defended so well for so long a momentary lapse proved very costly. From a lineout forty metres out Wynberg used Halu to punch the ball up in midfield. Instead he punched right through the hosts defence to see Wynberg take a 13-7 into the sheds. SACS needed to score first in the second half. Some early pressure was released when they chose to cross kick and a good opportunity was lost. Seven minutes in Wynberg executed some good build up play. A break by centre Siyamthanda Nombakuse saw them burst onto the attack. Patient build up saw them eventually squeeze loose-head prop Luthando Woji in next to the posts. On eighteen minutes SACS struck back when their loose-head Ethan Burger tapped a penalty and drove them into a good attacking position. Good handling saw Mokoena go over in the corner. He failed to convert his own try leaving SACS trailing 12-20 with just over fifteen minutes to play. Crucially upon receiving the kick-off SACS butchered the exit. Had they hammered the ball downfield and applied more pressure they may have played themselves back into the match but by kicking directly out they handed the momentum back to Wynberg. Again it was Halu who gave them front foot ball, which halfbacks Dylan Munro and Kyle Lamb used cleverly. Working the SACS defence around with great patience and acumen they eventually freed up left-wing Patrick Chivanga who scored in the corner. With ten minutes to go Ethan Burger snapped up the ball at the base of a ruck after Mokoena had launched a good counter-attack. Burger showed ridiculous pace and skill for a prop as he raced clear to score. Fullback Ross Letcher came close with the important long range conversion, which would have put SACS within one score range. At 17-25 with ten minutes to go SACS had a mountain to climb and once again did themselves no favours by exiting poorly. Chasing the game from deep SACS knocked on. Wynberg had a scrum with an inviting blindside. Halu popped the ball to Munro who placed a deft grubber through. 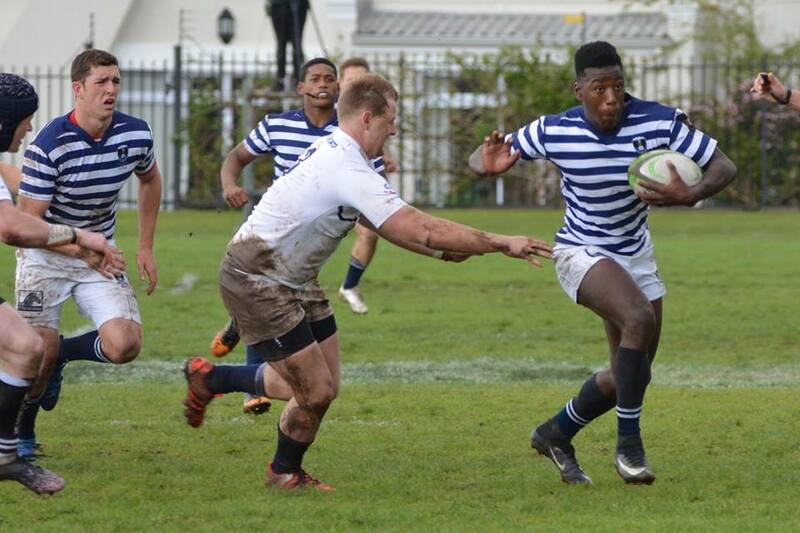 Right-wing Rethabile Louw beat the cover to score and put the final nail into SACS’s disappointing season. Wynberg duly wound down the clock on what has been a fantastic season for them before breaking into scenes of deserved jubilation when referee Jaco Smith blew the final whistle.